Marketing strategies are constantly evolving as new technologies emerge and consumer preferences change. With so many different options for your marketing campaigns, it can be hard to narrow down your choices. What’s the difference between email vs. text marketing? Should you try one? Both? None of them? Don’t get confused about the different approaches to marketing. 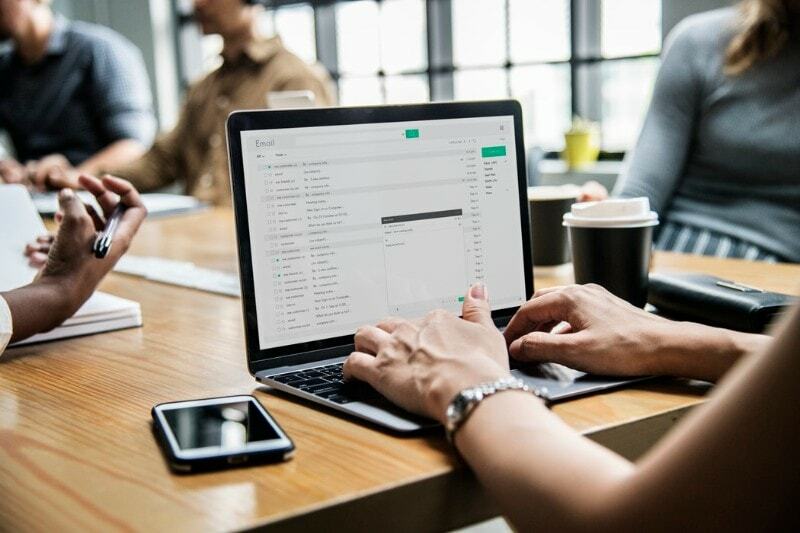 This helpful guide will take a careful look at email and text message marketing and help you evaluate which is best for your business needs. Text message marketing is the practice of sending special offers and information to customers who have opted in to receiving text messages from you. Even though we’re using the term marketing in general here, companies send text messages for a variety of purposes beyond simply user acquisition. A business might conduct customer service via text message, confirm appoints or shipping information, or sometimes even use mass text messaging as part of their internal corporate communications strategy. Customers want it: 85% of consumers surveyed say they prefer receiving a text message over a phone call or email. High open rates on branded text messages: The same study from above found that 98% of consumers open branded text messages. Reach customers almost instantly: People are on their phones constantly and many view texts almost instantly after receiving them. Doesn’t take a lot of time: Instead of typing a long email, save time by sending a short text. This is ideal for professionals who wear many hats. See immediate response: Mobile coupon offers are great for driving immediate foot traffic to restaurants and brick-and-mortar stores. There are some situations where mass texting for your business might not be the best solution. Here are some cons to texting for business. Your message might be too long: Even though character limits aren’t really an issue these days, if you want to send a really long message it could be best to send it through email. It can be overwhelming for customers to open a business text message that’s more than a few sentences. When comparing whether you’ll use email vs. text marketing for your business, this could be a determining factor. You might not be allowed to market your services: The CTIA, which oversees all mass texting in the United States, does not allow for explicit content or illegal drugs to be promoted on shortcodes. This can be a problem for some dispensaries, in states where marijuana is legal, who want to use text message marketing since the drug is not federally legal. You might need to grow your list: If you haven’t spent time adding mobile subscribers to your list, you might originally have a larger list of email subscribers and be tempted to try engaging them, if they’re somewhat unresponsive. You can grow your list efficiently using strategies such as a text-to-win contest so that you quickly get to a place where you feel texting is worth your time. Email marketing is a method of digital marketing where offers and updates are emailed to consumers, sometimes through newsletters and other times through one-off emails. Think of it as a direct mail campaign but for the digital age. Develop a voice: Emails give your business a chance to shine by developing a voice and presenting a cohesive brand identity. Can be low cost: Depending on how seriously you take your email marketing campaigns, you could get by without spending any money on developing them. As your list grows and you want to use more sophisticated technology and methods, email marketing can become costly. But at the beginning stages, you could start an email newsletter for free. Text message marketing campaigns are also relatively low cost so when comparing email vs. text marketing for your business be sure to price out the comparison based on the number of messages you’ll be sending each month. Many testing options available: There are many ways to do A/B testing on email campaigns to determine how effective they are. You can test headlines, links and images as well as the information presented in each email to fine tune a drip campaign that converts customers. Email marketing isn’t always the best way to reach your customers. Here are some areas where email marketing doesn’t pay off. Many branded messages get marked as spam: Consumers really don’t like spam and many spam filter settings are so high there’s a chance your email newsletters could be missing the inbox entirely. Even if they do make it into the inbox, there’s still a sizeable chance clients will gloss over your email, especially if they feel you’re trying to sell something. Emails take a lot of time and resources: To do an email campaign well it takes dedicated resources. You’ll need someone who’s great at writing and can spend a lot of time crafting emails for your company. It’s also important to find a person who can write emails that convert leads. This can get expensive, not to mention it takes a lot of time. Emails can feel impersonal: It’s difficult to make an email feel personal and customized, which are two experiences customers today are looking for. Even if you use personalization techniques for email it’s still hard to really convey a genuine personal touch. Email vs. text marketing: Which should you choose? When it comes to comparing email vs. text marketing, your decision is probably going to be slightly different for every situation and segment of your target demographic. That’s why you might not want to make it a black or white scenario. Instead, brainstorm ways you can make both work together to improve your marketing strategy. They both have unique pros and cons that can complement each other if you take the time to optimize your contact with customers at every point in the sales journey.